With the rise of cloud applications and devices that keep us constantly connected, more and more businesses are making the move towards the paperless office. These businesses benefit from increased efficiency, increased security, and reduced costs. What steps is your business taking to make the transition? 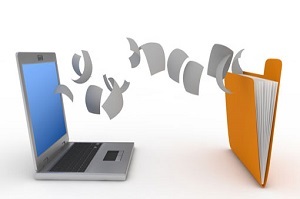 Join us Thursday, June 20th, at 10am PST for a FREE webinar, “The Power of the Paperless Office.” This webinar will examine the business case for moving paperless and examine how doing so can help organizations achieve significant cost savings, enhance customer service, reduce compliance risks, and contribute to environmental sustainability. We’ll discuss tangible actions that businesses can take to ensure paperless success and examine real-world case studies of organizations that have achieved maximum ROI on their efforts. Pamela Doyle, Director of Education, Imaging Products Group, is responsible for forming and driving key imaging industry relationships as the worldwide spokesperson for Fujitsu. 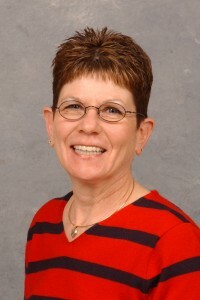 In her capacity as Fujitsu’s industry luminary, she frequently shares her imaging experience at numerous events, including global conferences such as AIIM, JIIMA, and ARMA. This educational event is co-hosted by SecureDocs, provider of a secure virtual data room for storing and sharing financial documents, and Fujitsu, a Leading provider of IT products and services for the global marketplace. This Group Internet Based event is equal to 1.0 CPE credit for all participants toward Business Management & Organization. There are no advanced preparations or prerequisites necessary to attend this event. This program’s level is basic. Stay on top of the latest tips, trends, and best practices for M&A, fundraising, and other business events. Get email updates from our blog.